HVAC refers to heating, ventilation and air condition systems. These systems are set up on residential and commercial buildings to regulate the temperatures of these environments. Most residential and commercial buildings install HVAC systems to regulate temperatures especially during summer as it can be unbearably hot and humid. These systems require technical knowledge and skills for proper installation. Depending on the needs, the systems are adapted differently. While the mechanism is the same for both residential and commercial HVAC systems, there are a few distinguishing differences between the two. Size and Complexity – Residential HVAC systems are much smaller and compact unlike the commercial ones. Residential HVAC systems serve single users while the commercial ones serve multiple users. In terms of complexity, residential systems are simple in specs and installation compared to the commercial systems. Commercial systems are built to accommodate multiple users hence not an alternative for residential purposes. Same applies to residential systems. They will not work for commercial uses. In terms of functionality, commercial systems are super powerful compared to residential systems. Their capacity is also not limited unlike their residential counterparts. Installation and location – Residential HVAC systems are installed inside the homes with just the external unit left outside. This is due to their small and compact design which takes up minimal space. 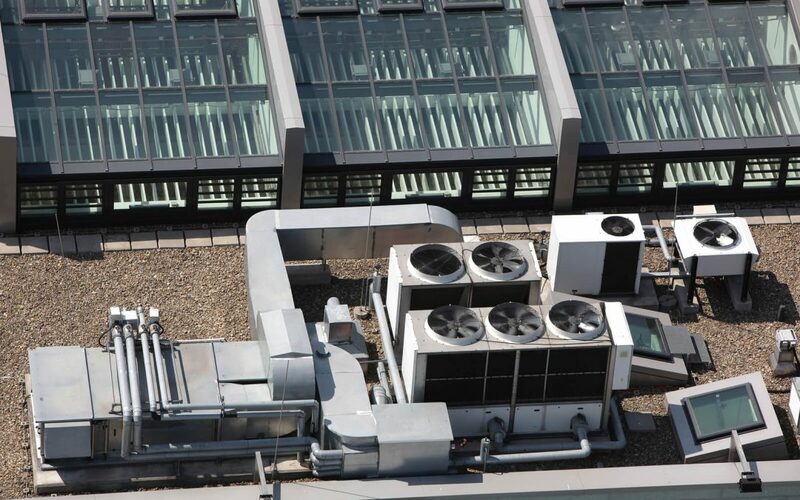 Commercial systems are mainly installed on the rooftops of commercial buildings as they take up too much space and produce a lot of notice that would otherwise be a disturbance. Their installation on top of buildings also limits any interference that would offset their performance. In case of repair and maintenance, this can be carried out peacefully with little or minimal inconvenience to the building’s users. Installation units – Residential HVAC systems are made of parts depended on each other for proper function. If one part fails the entire system has to be shut off for repair. Sometimes, depending on the extent of damage, the entire system will need to be replaced as it is built as a package. This means that you will not be able to buy just the broken part and fix it on your system. Commercial systems on the other hand are made of independent parts. This makes it possible to repair or replace just these particular parts when faulty. It also makes it possible to work on specific parts during installation or maintenance as they are completely independent. The commercial systems come prepackaged for independent installation unlike residential components which are split into condenser and compressor for external installation and blower and evaporator for internal installation. Drainage – HVAC systems are built with a drainage running parallel to the system. Residential systems have a single drainage unit attached to them while commercial systems feature multiple drainage units. The drainage system facilitated the condensation plan and drains externally. Since commercial system house several condensers, they require multiple drainage systems for the humid removed from air to escape externally. Ventilation – Residential HVAC systems rely on windows for extra ventilation. Commercial systems have inbuilt components for extra ventilation. They are therefore able to provide proper air circulation even in buildings with limited windows and ventilation spaces. They make an excellent addition to poorly lit and ventilated commercial buildings. HVAC systems both residential and commercial need proper installation in order to function properly. By contracting a professional such as Air in Motion, you will save time and money on your installations. Besides installations, they will provide expert insights into the right system suited for your needs. They are also available to do routine maintenance on your system to ensure it is in perfect condition. 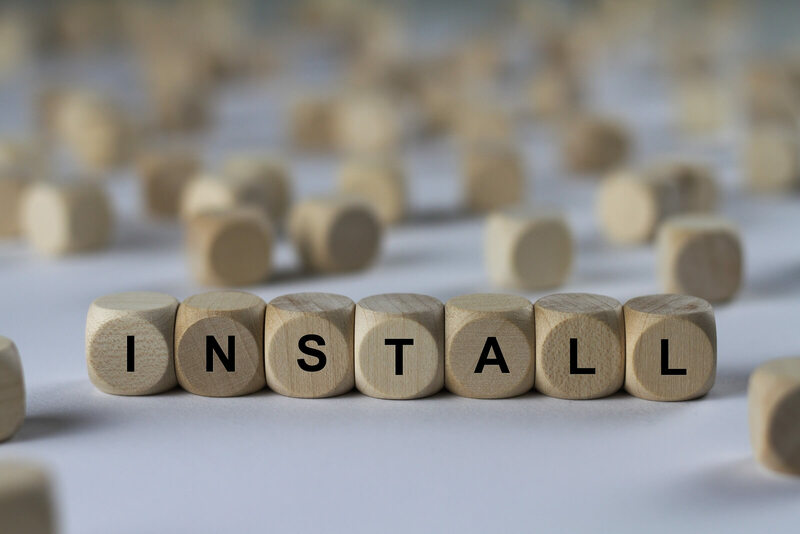 Trying to install HVAC systems on your own without expert knowledge may result in damage to the system prompting an additional cost of purchasing a new set. Contact Air in Motion today for professional HVAC systems services.